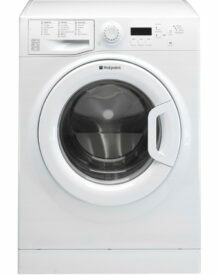 Nottingham washing machine, fridge, cooker and dishwasher sales, repairs and spares from Homesource 4U. 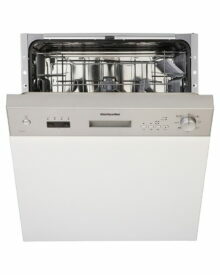 We can supply, fit and service your cooker, oven, fridge, freezer, washing machine, tumble dryer, dishwasher, hob, cooker hood, wine cooler or warming drawer anywhere in the East Midlands; including the Nottingham, Derby, Leicester, Lincolnshire, Mansfield and Worksop areas. Deliveries and call outs within 30 miles of Nottingham (further by arrangement). National deliveries can be arranged but please phone first to make arrangements. Collection available at our workshops on Carlton Road Nottingham. Whoever and wherever you are, we work 4U! 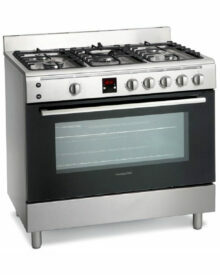 Stainless steel finished large single gas oven kitchen range with 5 gas burner hob (including large wok burner). 850(H)x900(W)x600(D) mm. Timer. 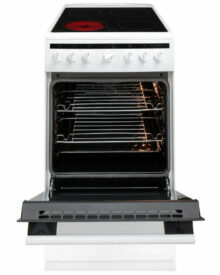 Fan Oven Cooker with ceramic hob. 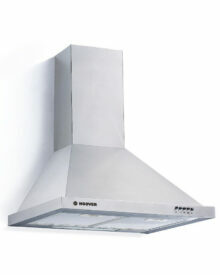 Slimline 50cm width but accommodates a large 65 litres of oven space and a 2000w Grill. White finish. Energy Rated A. Timer. 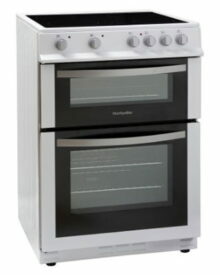 Gas Cooker in white. Triple glazed glass door. Enamel interiors. 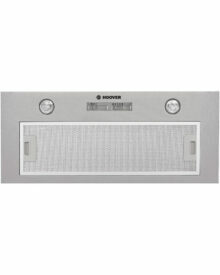 2000 watt Integrated Grill. Automatic ignition. LPG convertible. Timer. A Rated. 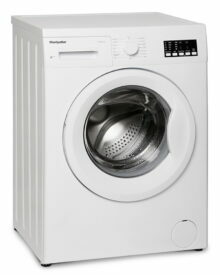 Washing machine in Polar White with 9kg drum capacity. Triple A Rated. 1400 rpm spin speed. 16 wash programs. Variable temperature. Easy to use controls. 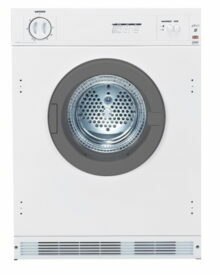 Built-in/Integrated vented tumble dryer for building into your kitchen cupboards. 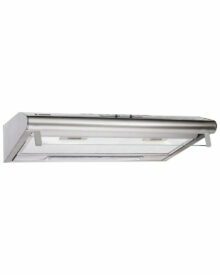 LED progress indicator, 7kg load capacity, 2 temperatures. Silver. 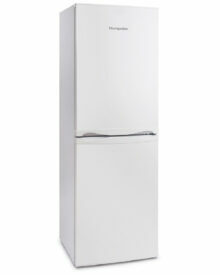 Frost Free Fridge Freezer in a moderately slim design (54cm), handy for those slightly tight spaces. Stylish design. The MFF170 is a 50:50 split Combination. 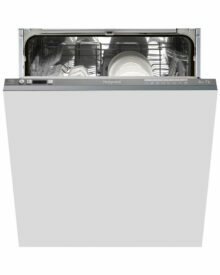 Semi Integrated 60cm dishwasher with a White fascia. Simple operation with 5 temperatures, 9 wash programs and 12 place settings. A++ rated. 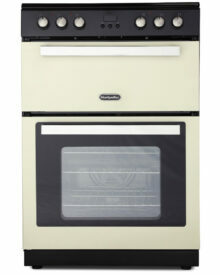 White cooker with double oven and a ceramic hob. 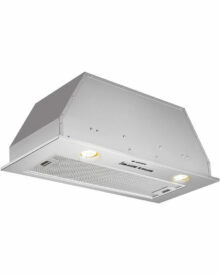 Good sized fan oven and separate cavity with Grill. Full 60cm width. Other colours available. A Rated. 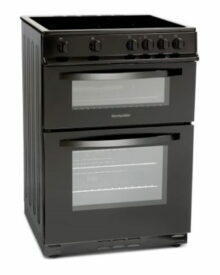 Black cooker with double oven. 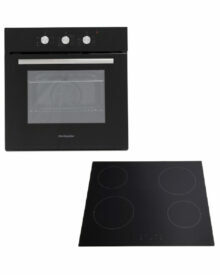 Main fan oven, separate grill, ceramic hob. Full outer glass door with big inner glass. Complete with grill pan. 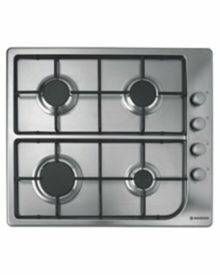 Silver cooker with double oven. Main fan oven, separate grill and ceramic hob. Full outer glass door with big inner glass, complete with grill pan. 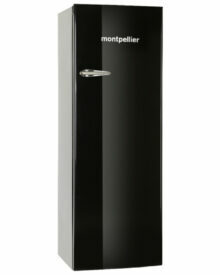 Tall Retro Fridge with a 4* Ice Box inside, finished in Black. 11.2 cubic feet of storage space and 1.735m tall. 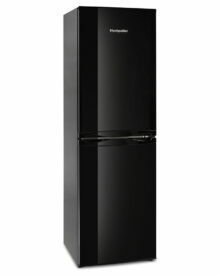 281 litre fridge, 30 litre freezer. 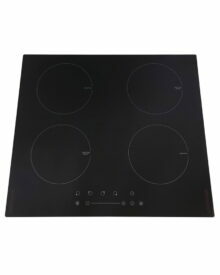 90cm Induction Hob with 5 Zones. 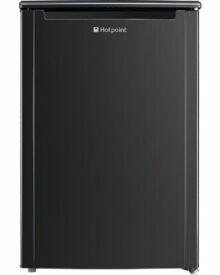 Features include Front Touch Controls, Book Function, Heat Indicator, Smart Pause, Child Lock and automatic pot detection. 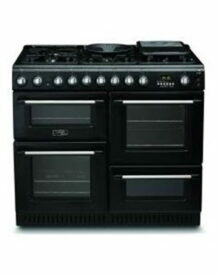 100cm wide dual-fuel Cannon kitchen Range in black. 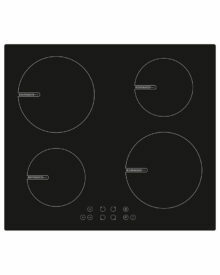 Two electric oven cavities and a six zone gas hob. 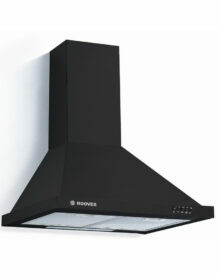 Ovens are 61ltr and 63ltr. Stunning light blue. 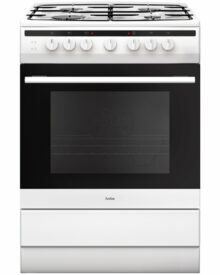 Dual Fuel - electric oven/gas hob. 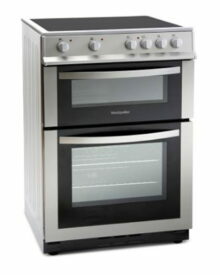 121 litre oven. 5 Burners including Wok Burner. A energy rating. 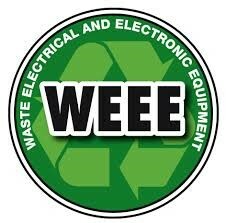 Full 2 year warranty. Rapid responsive heating. Easy standard installation. A energy rating. 4 Zones. Touch controls. 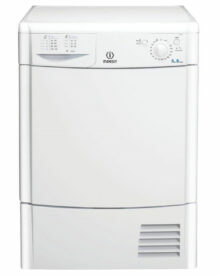 Full 2 year warranty. Perfectly matched units. 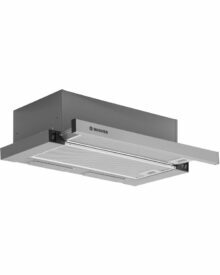 Easy standard installation. A energy ratings. 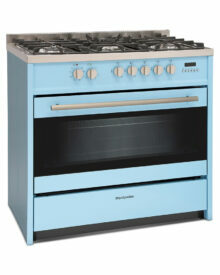 57 litre oven. 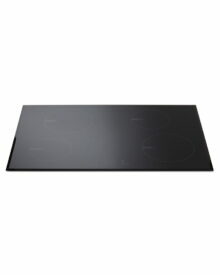 Ceramic hob. 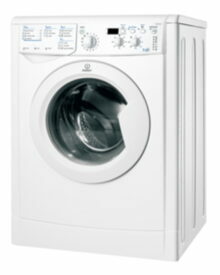 Full 2 year warranty. 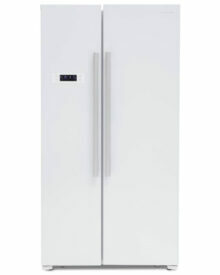 Side By Side Fridge Freezer. No Frost. Electronic touch control temperature. Temperature alarm. Quick freeze. 1.78 metres tall. A+ Efficiency. Wall attached. C Rated Efficiency. Takes charcoal filters. 200 m3/hr. Dimensions (HxWxD) 135 x 600 x 500 mm. Silver finish. Built-in installation. B Rated. Extracting or Re-circulating. 3 Speeds. 615 m3/hr. Dimensions (HxWxD) 254 x 750 x 296 mm. Lights. Telescopic type operation. 65 dB Maximum Noise Level. Extracting or Re-circulating. 3 Speeds. 347 m3/hr.